Go beyond fuzzy concepts towards best practices for defining your role, communicating the business case, creating a center of belonging, and measuring your impact. 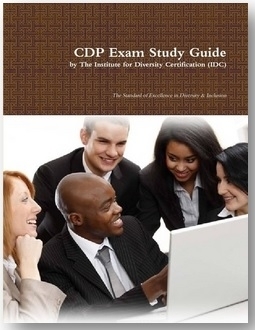 The Certified Diversity Professional (CDP)® credential was designed for equity, diversity and inclusion leaders in the corporate, nonprofit, education and government sectors. The fees listed are the Member Rates. Opt to become a member for $169 and save instantly!